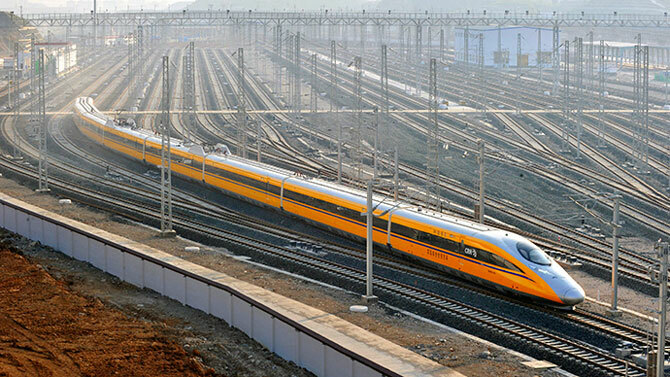 The Rs 90,000-crore (Rs 900 billion) Mumbai-Ahmedabad bullet train project has hit a block as the Maharashtra government has categorically ruled out providing land in the tony commercial district of Bandra-Kurla Complex (BKC) for the proposed terminal. Instead, the government has asked the rail ministry to consider its own plots currently lying vacant in Dadar, Kurla, or Bandra terminus. Chief Minister Devendra Fadnavis in his recent communication to Railway Minister Suresh Prabhu has conveyed government's inability to spare land, citing that the state undertaking Mumbai Metropolitan Region Development Authority (MMRDA) does not have adequate land. Further, the chief minister said it would be a loss-making proposition commercially and financially for MMRDA as it depends on sale of land to raise finances for costly infrastructure in Mumbai and the extended Mumbai Metropolitan Region. MMRDA is the special authority for planning and development of BKC spread over 370 hectare. The official said the government has asked the Railway ministry to consider vacant land in the railways' possession in Dadar and Kurla for the bullet train terminal. The MMRDA official said land is an important source of its income. “The current rate of floor space index (FSI) is Rs 300,000 to Rs 350,000 Rer sq metre. It is not the land rate but FSI rate. The land rate can be five times more.” He too suggested that the Railway ministry can explore the Bandra terminus for the bullet train terminal as it may help the Railways in integrating it with the suburban rail service. The official said MMRDA proposes to auction plots spread over 20 hectare so that the proceeds can be used to finance big-ticket projects including Dahisar East-Andheri East Metro, Dahisar East-Charkop-DN Nagar Metro and Mumbai Trans-Harbour Link. Meanwhile, Bharatiya Janata Party's ruling partner Shiv Sena, which has opposed the GST amendment bill in the present format, has strongly opposed the super-fast train saying that the government should instead spend money on improvement of Mumbai suburban train services. According to Shiv Sena, the priority ought to be to improve the speed and safety on existing trains and routes.